In 2014, Jon Favreau stood on stage at D23 ready to present footage of his adaptation of The Jungle Book. Before he queued it, he told us that this was probably the most technologically advanced film ever made. Of course, some eye rolls were met because directors say this all the time about their films, but then he reminded us that this was all filmed on a soundstage in LA. After seeing the movie, I feel inclined to agree with him. When films use too much CGI, it usually weakens it and makes the setting look fake. However, the effects the film shows the direction that Disney is going in in terms of technological advancement. After the breathtaking animation in Zootopia, they have proven that there’s nowhere to go but up. The animals’ fur looked authentic and their movement actually reflected their species. Adding in the extremely lush forest and meadows, it’s hard to believe that this was done all digitally. 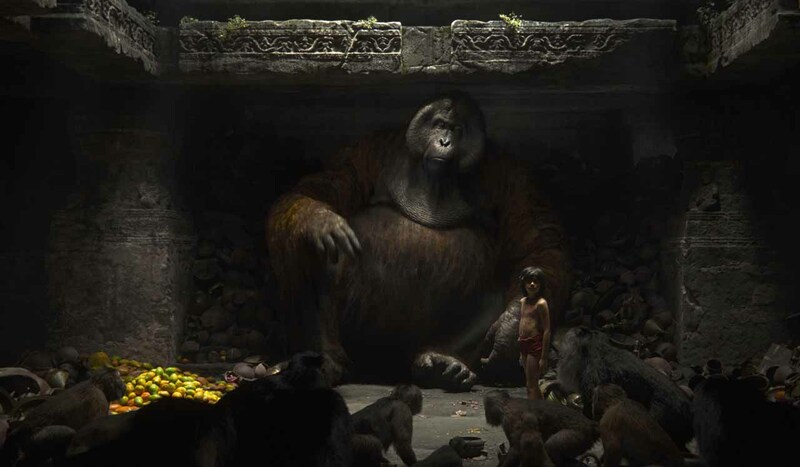 Mowgli (Neel Sethi) was the only human element and had to act alongside tennis balls (or nothing at all) rather than actual animals. That sounds hard for any kid to handle, but Sethi shines on screen and doesn’t make it obvious that he’s all by his lonesome. The story has a familiar ring to it: Raised by wolves, Mowgli is forced to leave his pack after the fearful tiger, Shere Khan (Idris Elba) wants to kill him. 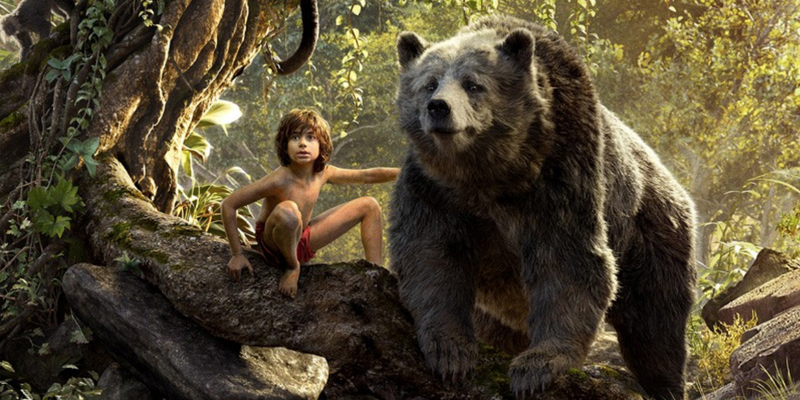 He embarks on a captivating journey of self-discovery with his stern mentor, Bagheera (Ben Kingsley), and the free-spirited Baloo (Bill Murray). Along the way, he comes across different animals who may not have his best interest at heart, such as the hypnotizing Kaa (Scarlett Johansson) and the gigantic orangutan, King Louie (Christopher Walken). Favreau ditched the completely colorful tone that the 1967 version was known for and brought in his own mixture of dark and funny. Most of the times, it meshed well but some scenes didn’t feel like they were in the right place. In one part, Shere Khan is being menacing to a wolf pack and then it immediately switches to Baloo and Mowgli joking around as if that scene never existed. It didn’t give us time to take in that emotional scene and we immediately had to switch to a happy face. And while having the musical numbers was a cute addition, it felt unwarranted. The film would have been perfectly fine without them, but instead it was odd that there were only the two most well known songs instead of including them all. One of the biggest spotlights of the film was how perfectly the actors inhabited their role. While some roles didn’t have much screentime (Kaa was only onscreen for a few minutes), the big celebrity names weren’t wasted. Murray was warm and goofy as Baloo while Kingsley’s strict, uptight voice fit Bagheera’s persona so well. When they were first announced, fans thought Walken and Johansson were horribly miscast in their roles. Surprisingly, they were proved wrong with Johansson having a hypnotic vibe and Walken taking on a mob boss persona in King Louie. But the most memorable voice acting was Elba. In the 1967 version, Shere Khan sounded like a traditional mustache-twirling villain, but Elba took it to a whole different level. He was menacing and threatening, with the audience not knowing when he’s going to pounce. Resembling Scar from The Lion King, he’s been one of the better villains in past Disney films and I don’t know how Benedict Cumberbatch will beat it in Andy Serkis’ adaptation. 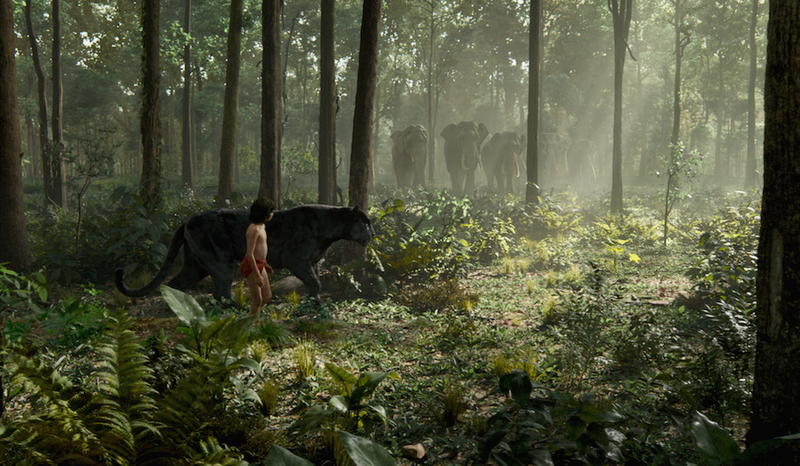 Out of the rebooted classics, The Jungle Book has been the most technologically advanced and fun so far. Favreau has shown that he can make CGI look beautiful and real instead of fake and stiff. With this in mind, I think it’s time for him to get a Star Wars film now.